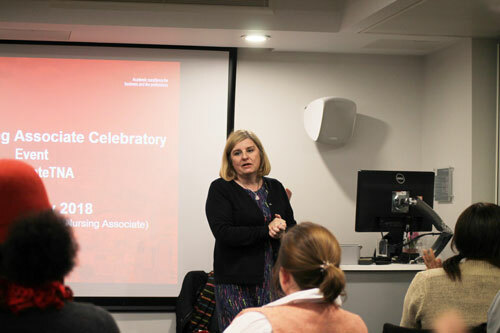 Trainee Nursing Associates and staff from City, University of London were joined by colleagues from Barts Health NHS Trust, Homerton University Hospital and East London NHS Foundation Trust as they celebrated the programme one year on from its inception at a special event towards the end of January. 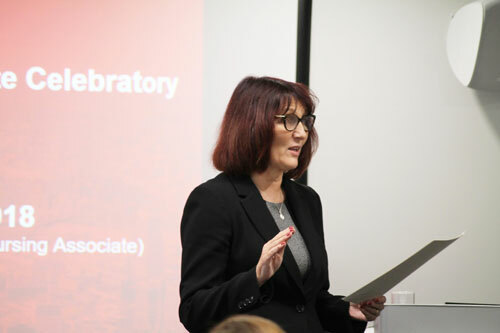 Introducing the event, Programme Director Janet Hunter spoke about the significance of the first year and the importance of marking the success of the Trainee Nursing Associates’ achievements. “It’s really important to celebrate this year and your continuing journey into the nursing family,” she said. 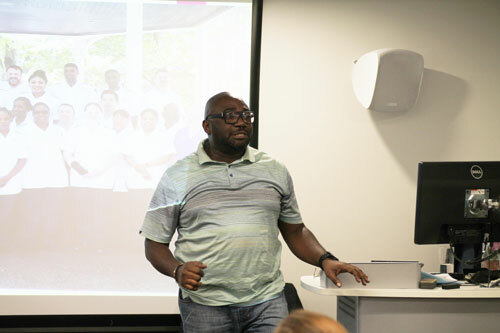 Several of the Nursing Associates then spoke about their experiences and journeys so far. Anne Levington, a Senior Nurse at Barts Health spoke about the Trust’s perspective, and in particular about how it has been an enjoyable and interesting journey for both the Trust and the Trainee Nursing Associates. She noted that both had learned a huge amount from the experience, with many at the Trust emphasising how impressive the progression of the Trainee Nursing Associates has been. The programme team found it extremely difficult to decide who to award the Personal Achievement Award to, with the team emphasising that given the success and achievements of all the trainees everyone was deserving of it. As a result all students received the award in recognition of the commitment and determination they had shown over the last year. 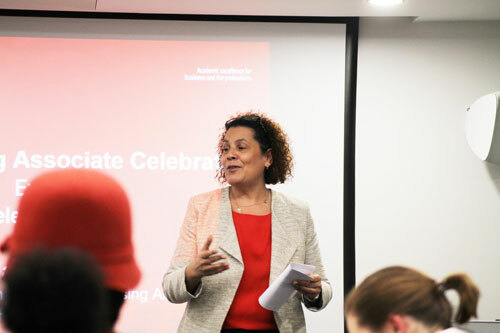 Closing the event, Julie Attenborough, Associate Dean, Director of Undergraduate Studies, summarised the achievements over the past year, which have often been against a fast-changing external environment. “It’s the end of the first year, and so much has been achieved; good luck as you further develop your clinical and academic skills,” she said.